PRISM Med Spa is proud to announce our cooperation with CoolSpa NYC and Dr. David Rapoport, leading plastic surgeon and top CoolSculpt provider. Ask about our Innovative “Fire & Ice” maximum fat melting and skin tightening combination treatment at Super Introductory Prices! For advanced body sculpting and facial rejuvenation, Coolspa offers an array of the most effective, non-invasive face and body treatments. Our exceptional team of plastic surgeons, nurses, and aestheticians are highly-skilled in the latest generation of non-surgical body sculpting systems and facial rejuvenation treatments. We are proud of our reputation as an authority in state-of-the-art face and body enhancements in New York City. 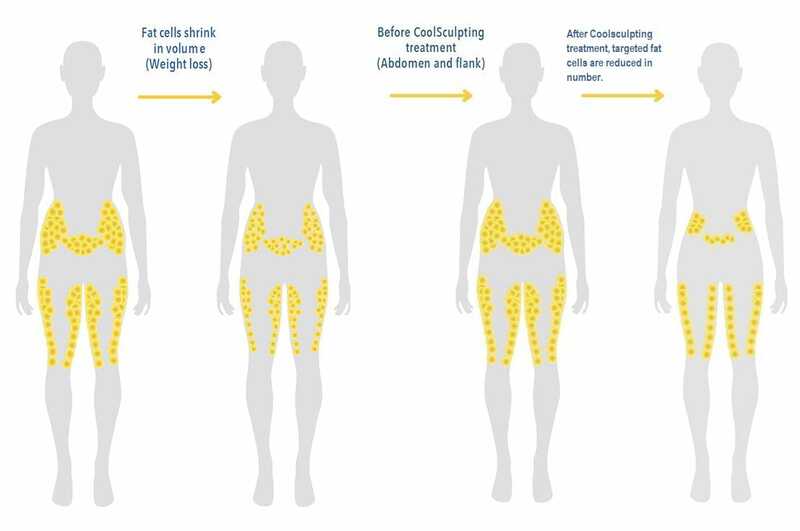 Coolspa delivers arguably the best CoolSculpting NYC has to offer. And NOW, Coolspa is also available in Long Island at PRISM Med Spa in Roslyn! Your journey begins with a private, one-on-one consultation to understand what you hope to achieve. A careful evaluation of your face and body helps us to identify the most effective method to transform your body to a trimmer, more sculpted look, or the facial treatment that will restore a firm, fresh, more youthful appeal. Ready to experience dramatic improvements in your appearance without surgery? Talk to us and let us help you become a more beautiful you. We all have stubborn areas of fat that just won’t respond to time at the gym, and don’t even respond as much as we wish to weight loss. Working out and watching your weight is an important part of staying fit, but you can’t control where on your body your fat is deposited when you gain weight, or from where on your body it leaves when you lose weight. Crunches don’t necessarily burn belly fat; nor does running necessarily burn thigh fat. Exercise burns calories but your body decides (based more than anything on your genetics) where the fat comes from to pay that caloric debt. With arguably the best body sculpting NYC has to offer, Prism Med Spa can help you get rid of that stubborn fat. Here’s another way to look at it: Our fat calls are basically our microscopic safe-deposit boxes where we store fat, which is the body’s reserve source of fuel and energy. Remember, we have evolved over many thousands of years to survive prolonged periods of starvation. So our bodies are brilliantly programmed to convert any excess calories we eat into fat, and store it in our fat cells. Unlike the safe-deposit boxes you find at the bank, which are made of steel, fat cells are amazingly flexible. They grow bigger and bigger when excess fat is deposited into them, such as after a rich meal. And they shrink down to near-nothingness when we aren’t eating enough calories and so we make ‘withdrawals’ of fat to help feed the body.